REVERSIBLE outfit! 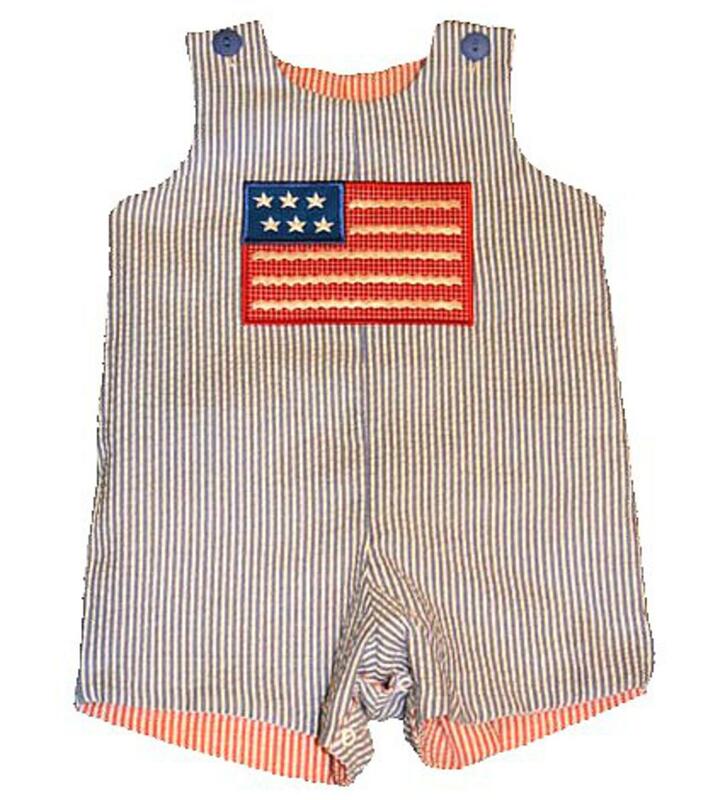 The blue and white seersucker romper has an adorable american flag for Fourth of July. 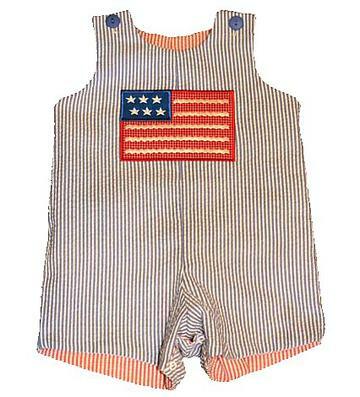 This outfit can be reversed when the holiday is over to a red and white seersucker romper and a mitten with baseball on the inside applique on the chest. Both sides of the shortall has two buttons on each shoulder and snaps on the inside of the legs to accomodate diaper changes. This adorable outfit is 35% cotton and 65% polyester.